Purchasing seasonal produce is generally cheaper ... and tastier! It also has less of an environmental impact. Produce which is grown out-of-season (green-housing) uses a lot of energy. So does transporting produce long distances. 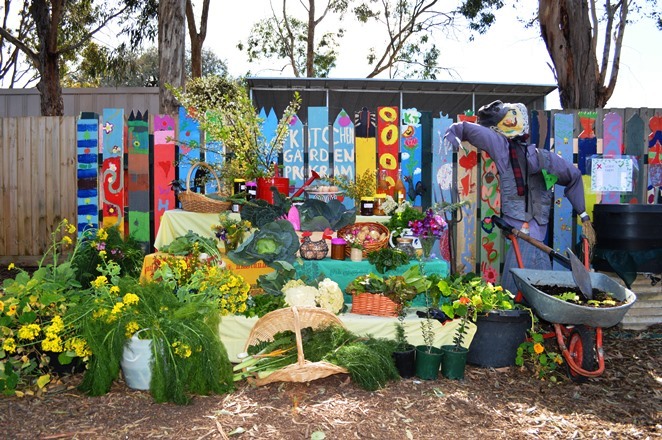 You could also try planting some of your own fruit, veggies and herbs like we do here at School? Nothing beats home grown! Beans, cabbages, capsicums, carrots, celery, chillies, cucumber, daikon, eggplants, kohlrabi, leek, lettuces, okra, garlic, onions, peas, pumpkins, radishes, spring onions, squash, sweet corn, tomatoes, zucchini. Asian greens, beans, beetroot, broccoli, cabbages, capsicums, carrots, celery, chillies, cucumber, daikon, eggplants, kohlrabi, leek, lettuces, mushrooms, okra, olives, onions, parsnips, peas, potatoes, pumpkins, shallots, silver beet, spinach, spring onions, squash, sweet corn, turnips, zucchini.